When you are about to lose a child, how do you exorcize his death? A father and a mother run to the hospital where their son is hospitalized and in critical condition after an accident. There they meet the woman who caused the accident and, along with a couple of friends, the doctor and a nurse, they cut across all boundaries of violence and respectability. Duration: 100 mins. Cast: 4 female, 3 male. 1st reading (excerpt): Two-day New Greek Playwright Festival, 2001, Theatre of the South, directed by Thomas Moschopoulos. 2nd reading (excerpt): Royal Court Theatre, 2001, London, directed by Gordon Anderson. 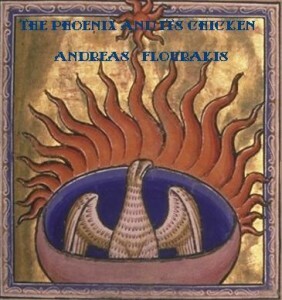 Translated by Alexi Kaye Campbell. 3rd reading: GateTheatre, 2003, London, directed by Richard Twyman. 4th reading: Inge Theatre, 2005, Kansas, directed by Dennis Christilles. 5th reading: The Frederick Loewe Theatre, 2007, New York, directed by Tomi Tsunoda. 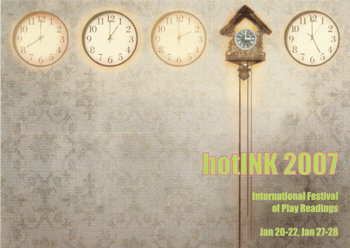 Took part in the International HOTINK Festival.